If you have Netflix- I'm sure you have gotten sucked into British television such as Doctor Who or Sherlock like I have. 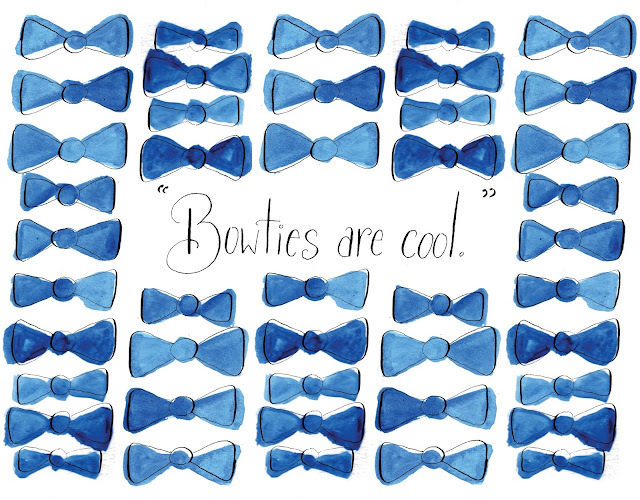 The show has been on my mind a lot lately so I thought I'd draw a couple tardis-blue bowties to put with the now famous Eleventh Doctor quote. Labels: Is my Geek showing?